Turn the clock back on your vehicle with our paint correction & chip repair services. Paint Correction or as it is sometimes referred to as paint restoration is a process of cutting, leveling, and polishing. Paint Correction is a process of using various products, chemicals, polishes, to remove imperfection in the vehicle's paint. For most paint correction with make a substantial difference and will remove upwords of 95 percent of swirl marks, while enhancing depth, gloss, and reflection. 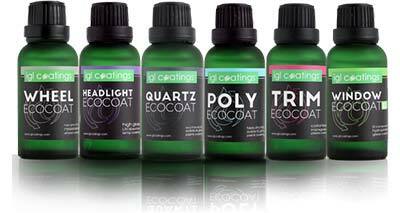 Make sure to check out our ceramic car coatings to protect your new finish. This process of paint correction requires a high level of patience and skill, and when done correctly is completely safe. We use the industries top dual action polishing machines along with the industries very best leveling compounds and polishes. But to really top off our tools we use high quality pads. Not every vehicle is the same and each require just a bit different process and this is why polishing pads are such a huge component of paint correction. For a proper job it is so important to not only have various pads to help level the paint and deepen the color, it's also important to use clean pads to insure no further damage to the vehicle's paint. Another component to perfecting your paint is Paint Chip Repair or PCR for short. Paint chip repair is just that, repairing and filling in those unsightly paint chips. This is done with color match paint, various, brushes, and droplets to fill in those chips. But we don’t just fill in those chips. We don't stop there because anyone can do that, we want those chips to blend in and virtually disappear. So our process looks a bit like this. Step 1: Access. Step 2: Fill as needed with primer and or color match paint. Step 3. Once dried repeat “step 2”, Step 4: Wet sand the area. Step 5: Use leveling compound to remove scratches from wet sanding. Step 6: Polish entire panel.